The viability and competitiveness of the traditional family farm model in Ireland is increasingly viewed as crucial to the survival, continuity and future prosperity of the agri-food sector, and broader sustainability of rural society. The National Rural Network (NRN ) is a component of the Rural Development Programme 2014-2020 (RDP ) led by Irish Rural Link in partnership with The Wheel, Philip Farrelly & Co. and NUI Galway. Dr Maura Farrell and Dr Shane Conway based in the Discipline of Geography’s Rural Research Cluster at NUI Galway are the leading researchers in the NRN consortium. Dr Conway explains that ‘one of the key objective of the NRN is to promote innovative initiatives that can help people in the farming community and in rural areas to maximize the success of the objectives set out in the Rural Development Programme 2014-2020’. A recent NRN Young Trained Farmer case study carried out by Dr Conway with 28-year-old Leo Morrissey, from Garrafine, Ballymacward, Ballinasloe, Co. Galway epitomizes such efforts by the NRN. 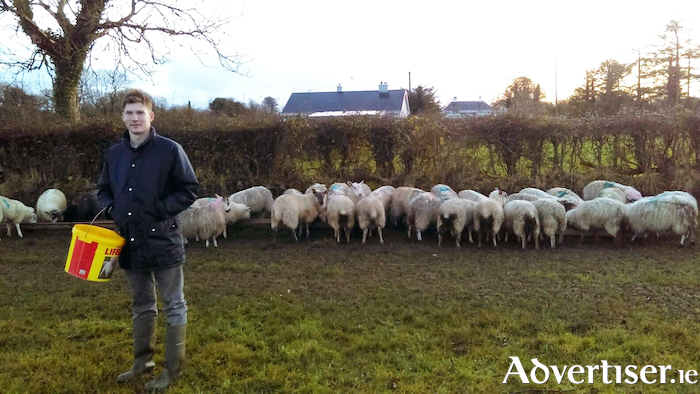 Leo recently went through a successful farm transfer process with his parents and older brother John, upon obtaining a Level 6 Certificate in Agriculture (Green Cert ) from Mountbellew Agricultural College. His progression in farming over the past three years is an inspiring story, and one that can help other young farmers throughout Ireland area to actively engage with, and avail of the various schemes and supports available to them under the Rural Development Programme. “In January 2015, my parents, brother and I sat down around the kitchen table to discuss the future of the family farm. The first sentence that came out of my mouth that summed up my own feelings on the matter to my family was ‘When I am looking to retire or pass on my assets in time I will do whatever I want with them, so if you two want to sell up and do as you please that is fully up to yourselves and I don’t mind. Leo and his brother decided against availing of the Collaborative Farming Grant Scheme (Measure 16 of Ireland’s Rural Development Programme 2014 -2020 ) to become a registered farm partnership, mainly due to the age profile of their parents at the time of the transfer and also the fact that the farm’s finances were in good order from the outset in order for them to have separate farm entities. The collaborative farming grant scheme was introduced to encourage farmers, who are establishing farm partnerships, to adopt best practice by engaging the help of experts when drawing up the farm partnership agreement. The grant is aimed at covering part of the legal, advisory and financial services costs incurred in the drawing up of the Partnership Agreement. Leo explains that the exceptional foundation laid down by his parents assisted John and himself greatly in establishing their own independent farm enterprises. Leo also detailed the benefits of this particular grant for suitable candidates. “I think the Collaborative Farming Grant is a good option for the larger scale farmers, or farmers who are still relatively young and may have a successor eager to get involved in the family farm business. And of course, it may also be a necessity in some cases, especially if the older generation are still financially dependent on the farm’” Other benefits of forming a registered farm partnership include preferential stock relief as well as ensuring that the members of all registered partnerships are fully catered for in the implementation of CAP Schemes such as BPS, ANC, TAMS and GLAS. Additionally, economies of scale and enhanced efficiency and work life balance are also major benefits of forming a farm partnership. Leo also gave his opinions and recommendations about the optimal timing of obtaining a Level 6 Certificate in Agriculture qualification. ‘I think a big issue regarding a lot of young farmers out there is their failure to get their qualification as a Young Trained Farmer done in their early to mid-20s. Waiting until you are in your 30s to do the Green cert is a joke in my opinion so that’s why I wanted to get mine done at the earliest opportunity. Personal drive is the biggest factor in most successions planning processes I reckon’. The next stage in the process involved Leo setting up his herd number in addition to having ongoing discussions with his agricultural advisor and the Department of Agriculture. Leo explained that ‘I then set about applying for a new herd number, purchasing stock to meet stock level requirements and also had discussions with my agricultural advisor regarding my Basic Payment Scheme (BPS ). Overall the process was straightforward, with good legal advice and open-minded family members being critical to the smooth transition. I found my dealing with the Department of Agriculture, Food and the Marine to be informative and straightforward. All the department staff I spoke to were helpful and assisted greatly in my entry into farming as a ‘Young Trained Farmer’ under the Basic Payment Scheme National Reserve and Young Farmers Scheme’. Leo also took advantage of the grant-aid funding available to him under the TAMS II - Young Farmer Capital Investment Scheme as he set about establishing his farm enterprise. Targeted Agricultural Modernisation Scheme (TAMS II ) was launched under the Rural Development Programme 2014-2020 in May 2015 and is co-funded under the European Agricultural Fund for Rural Development (EAFRD ). The objective of the Young Farmer Capital Investment Scheme under TAMS II is to provide young farmers with an incentive to upgrade their farm buildings and/or purchase equipment to increase the sustainability and efficiency of their farm holdings. It aims to do this by providing them with an increased level of support to meet the considerable capital costs associated with the establishment of their enterprises. This grant-aid will ultimately contribute to the improvement of individual farm incomes and the competitiveness of the agricultural sector as a whole. “Towards the end of 2015 when I first began farming independently I had zero stock of my own, no sheds, or machinery, and minimal fencing. I was lucky to have my land base however which is the hardest part for any new entrant into farming. For more information on farm viability and competitiveness in rural Ireland, join the National Rural Network for free on: www.nationalruralnetwork.ie and check out their daily updates on the NRN Facebook page and Twitter account.